Portrait of smiling seven year old boy. Seven year old boy with brown eyes and blond hair. 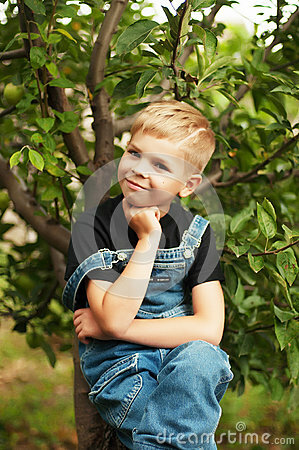 Young boy in a black T-shirt and denim overalls outdoor. Boy's portrait.